Laboratory for Experimental and Translational Research on Radiation Oncology (EXTRO-Lab), Department of Therapeutic Radiology and Oncology, Innsbruck Medical University, 6020 Innsbruck, Austria. 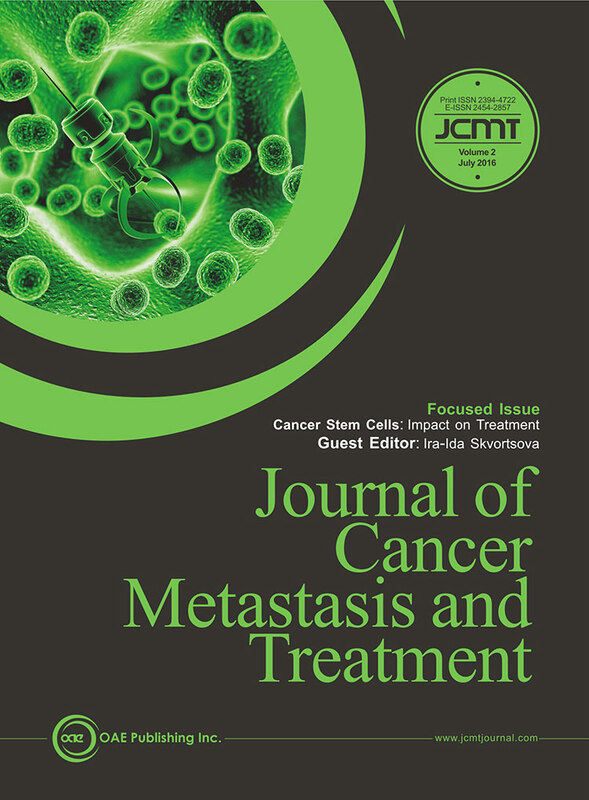 It is generally believed that the small population of the intratumoral carcinoma stem cells (CSCs) is responsible for poor clinical outcome, because CSCs are considered as a reason for the tumor heterogeneity, diminished sensitivity to chemo- and radiotherapy and enhanced abilities for metastatic spread. Investigation of the biological properties of CSCs is a hot topic in cancer research. In order to know more about CSC behavior, it is necessary to possess the CSC-specific molecular patterns distinguishing CSCs from non-CSCs. J Cancer Metastasis Treat 2016;2:243-4. Long-term quiescence or dormancy is a fundamental feature of cancer stem cells (CSCs) that are genetically identical to the malignant clone but constitute the only cells with tumor propagation potential within the overall tumor population. These quiescent cells show significant resistance to radiation and antiproliferative chemotherapy due to distinctive properties that seem to be related to their stem cell-like character. Hence, successful anticancer therapy must consist of approaches that can target not only the differentiated cancer cells, but also the CSCs. Using serum-starved KG1a cell line as an experimental model system of quiescent leukemic cells (QLCs), the present study demonstrates that QLCs exposed to low concentrations of curcumin show high proliferative potential. 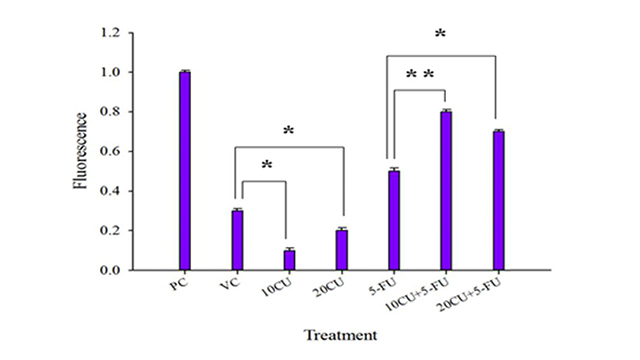 Furthermore, when subjected to a combination therapy consisting of low concentrations of curcumin and 5-fluorouracil (5-FU), the QLCs displayed a high kill with an increase in the levels of nitric oxide (NO) and reactive oxygen species. These results were further consolidated with the observation of high caspase-3 activity in cells subjected to the combination therapy. This may suggest that low concentrations of curcumin stimulate the QLCs to become mitotically active, thereby sensitizing them to killing by the antimitotic drug, 5-FU. J Cancer Metastasis Treat 2016;2:245-52. The therapeutic limitations of conventional chemotherapeutic drugs present a challenge for cancer therapy; these shortcomings are largely attributed to the ability of cancer cells to repopulate and metastasize after initial therapies. Compelling evidence suggests that cancer stem cells (CSCs) have a crucial impact in current shortcomings of cancer therapy because they are largely responsible for tumor initiation, relapse, metastasis, and chemo-resistance. Thus, a better understanding of the properties and mechanisms underlying CSC resistance to treatments is necessary to improve patient outcomes and survival rates. In this review, the authors characterize and compare different CSC-specific biomarkers that are present in various types of tumors. We further discuss multiple targeting approaches currently in preclinical or clinical testing that show great potential for targeting CSCs. 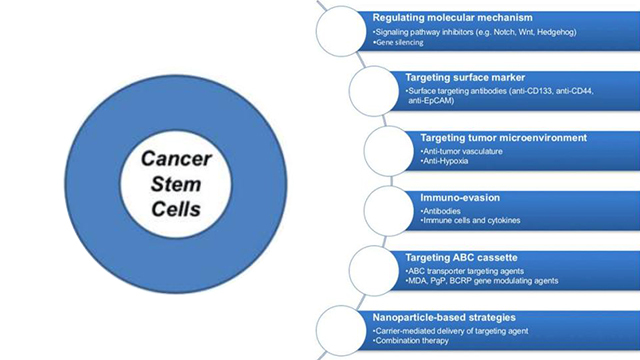 This review discusses numerous strategies to eliminate CSCs by targeting surface biomarkers, regulating CSC-associated oncogenes and signaling pathways, inhibiting drug-efflux pumps involved in drug resistance, modulating the tumor microenvironment and immune system, and applying drug combination therapy using nanomedicine. J Cancer Metastasis Treat 2016;2:233-42. J Cancer Metastasis Treat 2016;2:231-2.